The guilty party is Alokananda Dasgupta who has scored Sacred Games, and the music seems to convey that Sartaj has just set his eyes on the love of his life. In Episode 2 of the Netflix Original Sacred Games, titled Halahala — the poison obtained from the sea that had to be consumed in order to obtain amruta, not very different from what Albus Dumbledore had to do in Half-Blood Prince to get to a Horcrux — Sartaj Singh (Saif Ali Khan), now suspended from duty, returns to the scene of crime and tries to steal a piece of evidence so he can get on with the case. He does. But the music you hear is not brooding or mysterious. What you hear is uncharacteristically ecstatic, courtesy the sound of keys pressed by someone contented with the moment. The guilty party is Alokananda Dasgupta who has scored Sacred Games, and the music seems to convey that Sartaj has just set his eyes on the love of his life. He’s been wallowing within small, inconsequential cases far too long and this is a break he’d grab by any means possible. The music suggests ill-advised romanticism, and something similar but less obvious and more ominous is heard when Anjali Mathur (Radhika Apte) finds herself at the scene of a shootout and becomes field-happy. Like Sartaj, she wants to get out of her analyst desk and into the field, and when she finds a gun, the music is not something you’d traditionally hear. 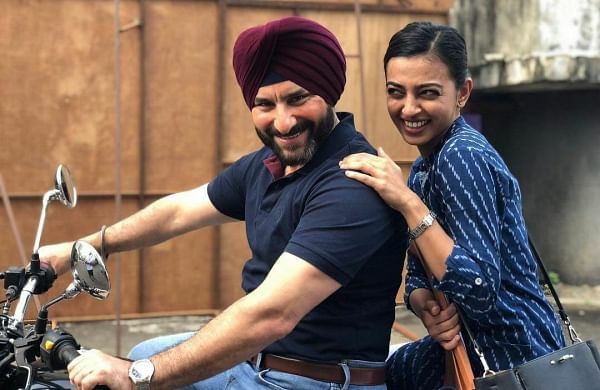 Both are in a place they’ve wanted to be in for the longest time and Sacred Games draws a parallel with the city of Mumbai in these stage-setting portions. Ganesh Gaitonde (Nawazuddin Siddiqui) draws Sartaj into his web much like Mumbai or Bombay or Bambai draws its citizens in with its oversold romanticism, Gaitonde having been an all-knowing victim. With Gaitonde, two unlikely things happen that rarely happen in this genre — a gangster cries. A gangster with a God complex is brainwashed. In a similar fashion to Saket Ram in Kamal Haasan’s Hey Ram, Gaitonde becomes intoxicated with revenge, and like Saket, equates it with his masculinity. Ram drinks Soma, feels manlier as a Ravanan effigy is razed to the grounds in Hey Ram and Gaitonde has a similar scene here, when he can get it up only after killing the Muslim mole in his gang (in Hey Ram, surrealism transforms Mythili into a gun). The toxic masculinity parallel used in Haasan’s 2000 film is repeated here for a very similar purpose. Hey Ram dealt with the early days of the right-wing nationalists movement in India and Sacred Games tells the story of how far we’ve come along with it. Commercial art seldom exists in vacuum and the best of them reflect the culture, politics and circumstances of their origin. 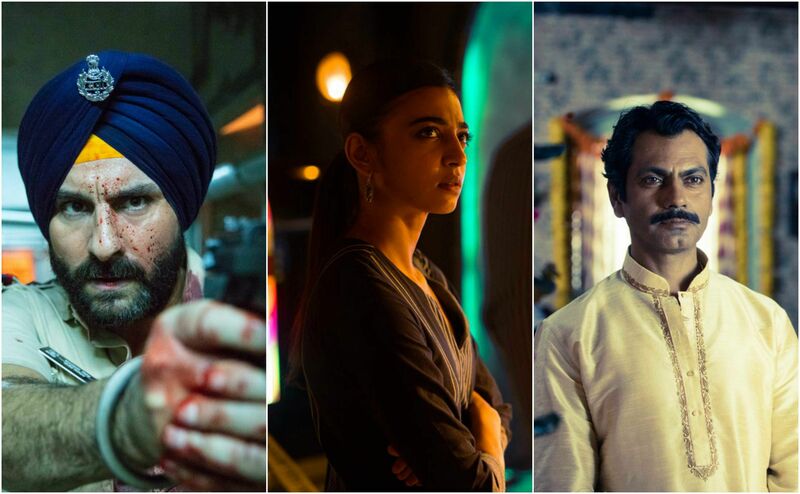 Sacred Games is a competent entry to the list of such memorable works that explicitly identifies its themes, progenitors, its historical context, and primary players. 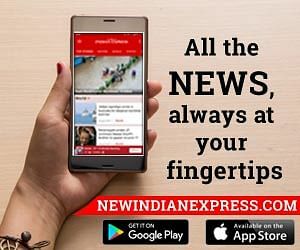 Last week, Union Minister Jayant Sinha felicitated the eight men convicted for the brutal murder of cattle trader Alimuddin Ansari with garlands and a photo op. Ansari was lynched to death in June 2017 and the eight men were convicted by a fast track court. They were released on bail last week and this brazen public act can only be seen as the party in power giving an explicit endorsement of cow vigilantism and mob violence. Vikram Chandra’s novel adapted for screen by Varun Grover, Smita Singh and Vasant Nath, directed by Anurag Kashyap and Vikramaditya Motwane, tries to document how we’ve arrived in this day, date and time in history and how deep into the void we’d further plunge. Gaitonde begins to tell his story — in first person singular like Ram — which switches back and forth with Sartaj Singh’s present-day investigation. Chandra’s book is detailed to the point of exhaustion, where every stray character gets an origins story, veering off to decades past or lands unknown, and the writers of the Netflix show have been prudent in rationing the material to keep the show always engrossing. But there is method to the dense structure of the novel because Chandra too was in the process of documenting the inescapable past and its effect on present day and it won’t be a surprise if Sacred Games gets a second season where these things are expanded on. Sartaj is given 25 days to save Mumbai, but Motwane and Kashyap decide against a ticking time bomb structure and go with the more atmospheric tone of the novel. You get bird’s (God’s?) eye-view shots of Mumbai, dungeons that look like hospitals and hospitals that look like dungeons, and an interplay of lights. When Sartaj takes the car keys to kick-start his investigation, he is bathed in light and flare. A woman’s face is masked with darkness when she expresses her grief, maybe suggesting the innumerable faceless, unnamed innocents suffering loss or becoming collateral damage in the name of religion. A wasteland is burned to give us one of the best shots and in the present day we are told that another wasteland is now a grand shopping mall. Sacred Games has great performances across the board, something that doesn’t occur often enough in Indian commercial space. Kubbra Sait as Kukoo and Jitendra Joshi as Katekar topping it in these eight episodes. Katekar’s is probably the best translated character and storyline from the novel to the screen. Titled Sacred Games, the writers go to the sacred texts to name their episodes and never does it come across as reaching. The use of Yayati Syndrome for a character’s actions and motivations is a mark of keen eye and elegance. Sacred Games takes Yayati and Puru’s story from the Mahabharata head on and wrestles with the tug of war between Yayati Complex — the willing submission to a father figure — and Yayati Syndrome — letting go of conscience for a personal or external gain. The writers and filmmakers of Sacred Games know exactly what they are talking about and never do they fall into a generalisation trap, when borrowing liberally from mythology. The references are measured and to the point, not coming in the way of storytelling or filmmaking. Those who’ve read the book will know that there is more meat where this came from and we can only hope that Netflix gives us another season. To begin with, what’s up with Jojo Mascarenas?